She had injuries to the head. 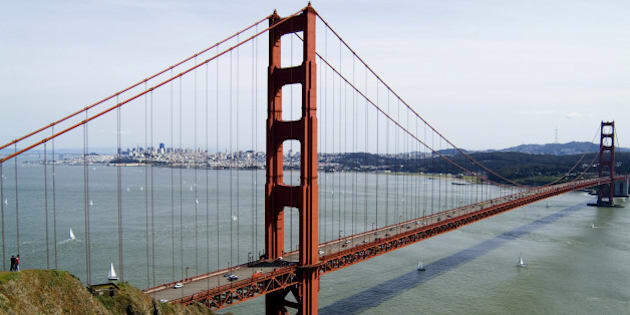 View of the Golden Gate Bridge, with San Francisco in the background. SAN FRANCISCO — The family of a young Montreal-area woman who died tragically in San Francisco, issued a statement Tuesday thanking those who expressesd sympathy and support. Audrey Carey, a 23 year-old from Saint-Jean-sur-Richelieu, was described as someone who was full of life and loved by everyone. The statement also said the family would now like to mourn in privacy and have asked the media to respect their wishes. It was the coroner's office in the Californian city that identified the woman. Carey's body was found by a passerby on Saturday morning near the Golden Gate Park Golf Club. Carey was travelling on the West Coast and was believed to have attended Hardly Strictly Bluegrass, a three-day music festival that ended on Saturday. Police identified her after finding documents on her as well as a cellphone that was located near the body.